Tonight in the Piccadilly Theatre in London, something very exciting is going to be happening… The folk behind the Bailey’s Prize will be announcing their Best of the Best from the second decade of the wonder that is the women’s prize for fiction. 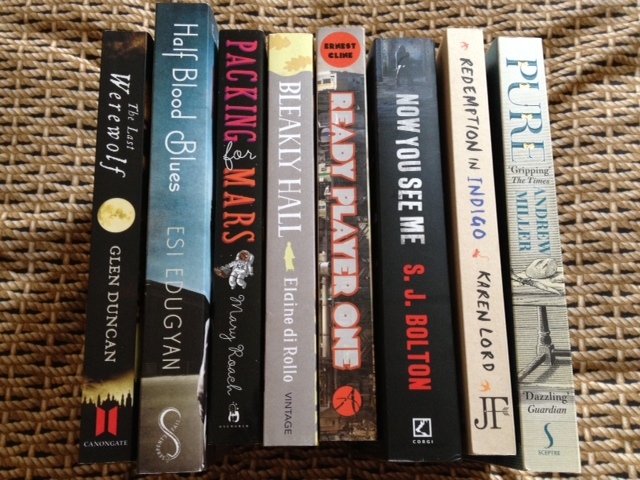 The question is of course which of these wonderful ten novels (if like me you thought they had chosen ten books from all time and were worried about some of the older ones not getting a shout fear not) will win the prize tonight? I will be there, so will be live tweeting over @SavidgeReads throughout and then filling you all in on the evening tomorrow, however in the interim the lovely team at the Bailey’s Women’s Prize for Fiction asked me if I would share with you which book I thought deserving of the title. This initially seemed like the most delightful thing to be asked, then when the selection above arrived I realised it was actually a potential nightmare. 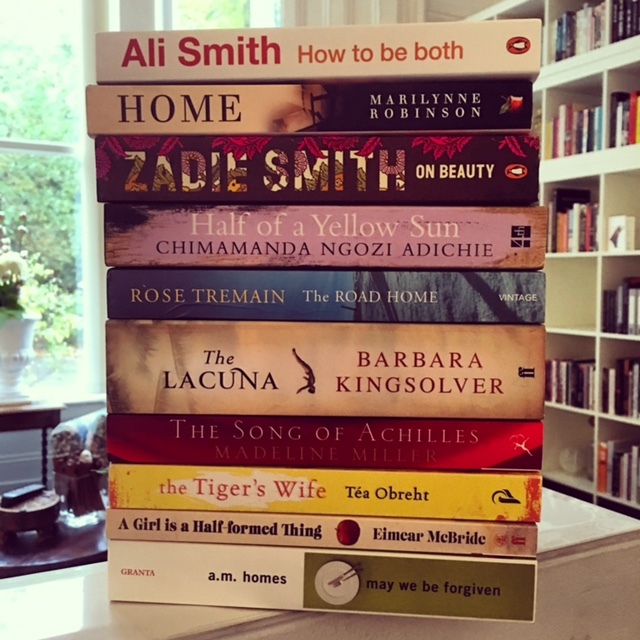 I have read nine of the books (sorry Barbara Kingsolver, I will get to you) and I can genuinely say that six of them have been absolute corkers (Homes, McBride, Tremain, Adichie, Miller, Smith) and out of those two of them have become some of my favourite books of all time. Step forward Madeline Miller’s The Song of Achilles (which I was sure I wouldn’t like after having a classicist mother who dragged me round Pompeii for 8 hours put me off all things Greek and Roman for quite some time, it’s okay Mum I forgive you) and Chimamanda Ngozi Adichie’s Half of a Yellow Sun (which I read for a book group knowing nothing about and completely blew me away) which are both corkers! But before I choose which of these would be my best of, and it changes minute by minute, I want to just take some time out to say how brilliant the prize is full stop and mention how much I wish they would let a male judge on the panel called Simon just once and all the brilliant fiction that it highlights be they longlisted, shortlisted or the final winners. Because it is brilliant! 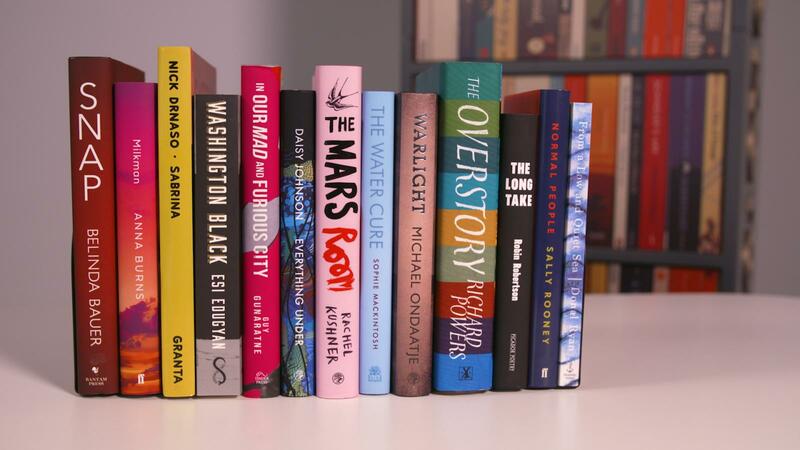 Without the prize I wouldn’t have read any of the above novels when I did, nor would I have known about Andrea Levy’s winning Small Island, or shortlisted titles like Esi Edugyan’s Half Blood Blues, Kathleen Winter’s Annabel or Emma Henderson’s Grace Williams Says It Loud. I could go on, and I haven’t even started on the longlisted titles that I have read and loved each year, or the fun I have every spring trying to guess the twenty books that might make it on that list. It has really informed my reading, more than I realised until I looked at all the titles – which then set me off wanting to read all the short and long listed titles I haven’t got to yet. Blimey! So which would be my overall winner for the book of the last decade? 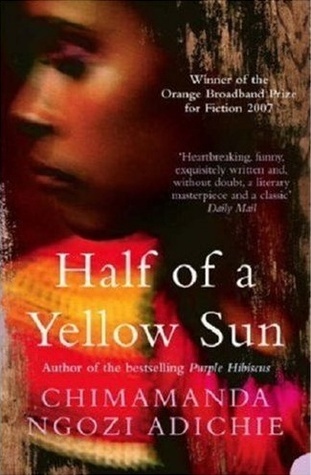 Well after much torment, wailing, hair pulling and other vexation I have to say for me it has to be Half of a Yellow Sun. It is a book that stole my heart, broke it a few times and has left me thinking about it (and all the characters) ever since. It is also a book that I have bought for all the important people in my life who haven’t read it yet – and they have all been blown away by it too. Right I need to get ready for tonight’s event, which there are still some tickets for, so over to you? Who would be your best of the best from the second decade be and what about the first? Which short and longlisted books have you read and loved. I was going to try and be really brave and break the habit of this blogs and just do a single top ten books of the year. I tried and tried and tried, and I failed. I simply couldn’t only have ten, in fact I actually had a top thirty roughly, but then I have read 167 books (Green Carnation submissions always bump this figure up, what will next year be like without them) this year so maybe that will make it slightly more understandable. So what I have done once again is have two top tens, one of the books published for the first time in the UK in 2012 and another with all the other books published before that – it is the latter we are focusing on today. For the full review click on the link, I have chosen a highlighting paragraph to tempt you for this post. I really liked the fact Bullough creates this sense of place and people and wants you to work with him on building the bigger picture and using all the things unsaid along with tiny tensions to create the full narrative tale. I think by now you will have probably guessed that I thought ‘The Claude Glass’ was an unusual and incredibly accomplished piece of writing, silently impressive and one that rewards you in many ways. ‘You’ll Be Sorry When I Am Dead’ is one of those books which manages to make you laugh out loud, feel ever so uncomfortable at its honesty, possibly makes you want to cry and then makes you laugh all over again. When someone writes their memoirs it isn’t necessarily that the full truth doesn’t come out, just that the author tends to look at things in a rose tinted way, highlighting their best bits – not so in the case of Marieke. 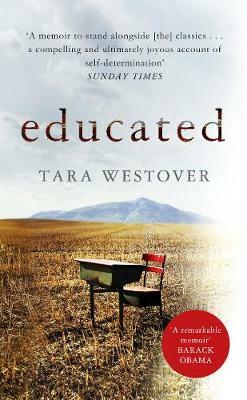 What I also really admired and loved about the book is that even though we have one narrator we have two stories. These are told in alternating chapters throughout the book. This device is one that is used often and normally I have to admit one story will overtake my interest as I read on. Not in the case of ‘Days of Grace’. I was desperate to know what was going to happen with Nora and Grace as the war went on both in idyllic Kent and the roughness and danger of London but I also wanted to know, just as much, what was going to happen with Nora in the present, her health and the relationship with Rose and her baby. Both stories had me intrigued and I think that was because Catherine Hall very cleverly has the stories mystery foreboding the past tense narrative and shadowing the present without us knowing what it is until the last minute. You can feel the sense of unease on almost every page, both in a combination of the mystery of Hiero unraveling and war drawing nearer does give the book a slight thriller twist. If you think that is a negative thing it is not I promise you because Edugyan merges the literary elements of the novel with the tension and pace perfectly… and it stays with you long after you read it. I always admire an author who can write beautifully and simply, an author who can create the most understated of melodramas will win me over. I also always admire an author who can write a passage that chills you before one that makes you laugh out loud and then another which horrifies you all over again. All these things are encompassed in Edward St Aubyn’s first Patrick Melrose novel ‘Never Mind’. I don’t think I have yet read a piece of fiction which seems to encapsulate the entire breadth in which cancer can affect people and not just those in the eye of the storm it creates. Ness looks at the full spectrum of emotions for all those involved, from Conor, his mother and grandmother to those on the periphery such as Conor’s teachers. He takes these feeling and reactions, condenses them and then makes them readable, effecting, emotional and compelling in just over 200 pages. The monster itself is also an incredible character being utterly evil in many ways and yet having hints of goodness amongst the chaos he creates so that you are never quite sure if he is friend or foe. I wouldn’t normally say that I was a reader who subscribes to adventure stories or love stories and yet Madeline Miller’s debut novel ‘The Song of Achilles’ is easily my favourite read of the year so far. The reason for this is simple, she’s a bloody good storyteller, a great writer and I think the enthusiasm she has for classics becomes contagious somewhere in the way she writes. Madeline Miller has made me want to run out and read more books with this book, what more can you ask from an author than that? So that is my first top ten of 2012 and all the books I really, really loved published before this year that I read this year. Make sense? I do also want to mention ‘Now You See Me’ by S.J. Bolton, ‘Packing For Mars’ by Mary Roach (both of which I read for The Readers Summer Book Club and adored), ‘Persuasion’ by Jane Austen and ‘Great Expectations’ by Charles Dickens (both have been part of Classically Challenged and the latter of which I will be talking about tomorrow), all highly recommended. So what about your what are your post-2012 books of 2012? Which of these have you read and what did you think? Any other books you would recommend you think I might like having loved the above? Do pop back for Part Two on Monday! I mentioned the other day that we were halfway through the year and how I was taking stock of what I had read so far and what I wanted to read over the next few months. Well in terms of what I have read I thought I would give you a list of my top ten books of the year so far, we all like a list of books don’t we, each comes with a brief quote from my review – you can click on the title and author for the full reviews. So there we have it. Have you read any of these and what did you think? Will these books still be in my top books of the year at, well, the end of 2012? I guess we will have to see. I know some of you have already given me your favourite books of the year so far but do please keep those recommendations coming! 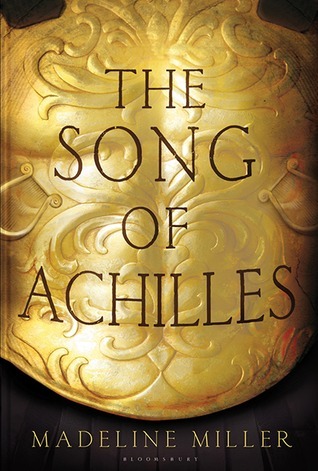 I meant to write something about the Orange Prize before the winning announcement, however the day seems to have somehow escaped me and so now the winner has been announced and it is… Madeline Miller with ‘The Song of Achilles’! I am feeling rather ecstatic about this. Well beyond ecstatic, thrilled more like, as it is undoubtedly one of my favourites of the entire reading year (along with ‘Gillespie and I’ by Jane Harris which sadly didn’t get short listed, but am keeping this post positive). You can see my thoughts on ‘The Song of Achilles’ here and if that wasn’t enough you can see Madeline Miller getting a Savidge Reads Grills here. So that’s all lovely isn’t it? Commiserations to all the other authors, especially Esi Edugyan which I have recently read and loved after finishing it second try, but a huge congrats to Madeline Miller. Have I said I am thrilled? What are your thoughts? As it is just two weeks away, I thought I would give you a reminder that The Readers Summer Book Club is just around the corner. I am not suggesting that you read every single one of the eight books on the list, though if you wanted to that would be lovely (and they are available in libraries here there and everywhere from what we gather, so we aren’t trying to flog books) as we would love to get as many of you, wherever in the world you are, taking part in what we hope is going to be a worldwide book club. We are still looking for victims volunteers to join us on ‘the discussion panel’ part of the show, so if you have read any of these already, or you want to (and there is a free copy of the book if you do) and would like to speak to us on Skype with some other readers about them, love them or loathe them, then we would love to hear from you via bookbasedbanter@gmail.com you can find more out about the summer shows here too. What has been lovely to learn is that people are meeting up to discuss the books in the flesh too, and there is proof if you look at one of our goodreads forum threads. I will be talking about how books bring people together tomorrow. Interestingly, and on a similar theme, Gavin and I (with our OH’s) will be meeting in Cardiff next week and actually spending time with him face to face rather than on Skype. I am so excited about it I could burst, and meeting Gavin too. Ha! And seriously, please do let us know if you would like to join in and your thoughts on the books. P.S if you are a Readers listener the podcast will be up later today, there was a technical fault, oops (just as there was with a post saying The Green Carnation Prize would be relaunching today when it is in fact next Monday the 21st, dear oh dear).